Trish is an experienced leader, change manager and facilitator with over 30 years’ experience in the public sector, working in very large organisations in both regional and central office roles. 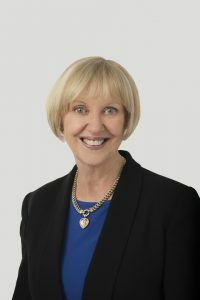 Throughout her career as a senior leader in the NSW Public Service Trish was an innovator and reformer with a strong focus on stakeholder engagement and the development of strategic partnerships to drive change and reform, and to develop and nurture a culture of continuous improvement. She has extensive experience in developing, mentoring and coaching staff and is a skilled presenter, facilitator and communicator. Trish has a strong commitment to and a proven track record in leadership development, in supporting people to develop and achieve their career goals, and in working with individuals and groups to enhance their performance. She has mentored and coached executives and aspiring leaders in large Government agencies, and she has worked with people individually and facilitated groups of people to assist them to identify and pursue their career aspirations. Trish has also worked with executives to drive the implementation of significant organisational and cultural changes. In all her assignments Trish takes a client focussed approach to her work and is passionate about and gains great satisfaction from supporting her clients to pursue and realise their goals. In the 2013 Australia Day Honours Trish was awarded the Public Service Medal for outstanding public service in NSW as the General Manager, Human Resources in the Department of Education and Communities. Trish’s interests include travel, theatre, music and reading.